This week is a big one for me. I’m officially packing all of my things into storage and stepping into the next adventure. As of this Friday, I will be home free. Then on December 8th, I’ll be airborne on my way to Guatemala for the next 3-4 months! If you want to follow along on my journey with me, be sure to come and follow me over on my Facebook Page and Instagram. To be honest, I struggled with sharing this one. It’s not a completely sugar-free recipe. 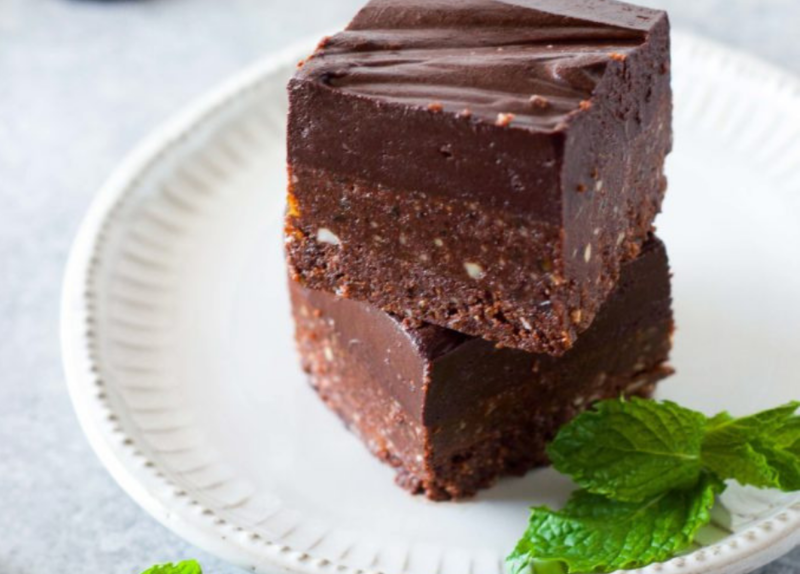 I was inspired by the Oh She Glows Raw Brownie recipe that a friend shared with me a few weeks back and I knew that I had to create my own less sugary version. So, although these squares DO have sugar (from the dates), they do NOT have any additional added or refined sugar. AND they are loaded with protein and healthy fats which help slow the release of sugar into your bloodstream. Because living a Sugar Freedom lifestyle means indulging in something sweet on occasion. And this time of year is all about those indulgences. So, if you’re looking for something a bit better than traditional sugar-laden goodies to bring to your next holiday party, this is it! Line a 9x5-inch loaf pan with a piece of parchment paper, leaving some overhang to remove the brownies in one piece. Place the dates in a bowl and cover with hot tap water. Let sit for 5-10 minutes and then strain and pat dry with a piece of paper towel. Place the walnuts into a food processor and pulse until they resemble a fine crumb. Add in the hemp hearts, dates and mint leaves. Process until finely chopped and sticky. Add the cacao powder, vanilla, salt, and cinnamon. Process until thoroughly combined. The dough should be slightly sticky; if it’s not, add water one teaspoon at a time and process the mixture again. Transfer the batter to a medium bowl and stir in the coconut. Spoon the mixture into the prepared pan and spread it out evenly. It should be quite sticky. Wet a spatula and press down down the batter. Place the pan in the freezer for about 10 minutes. Prepare the top layer: Melt the coconut oil over low heat in a medium pot. Remove the pot from the heat and whisk in the cacao powder, mint extract, salt, and vanilla. Combine until you have a silky chocolate sauce. Remove the squares from the freezer and pour the chocolate sauce on top. Carefully transfer the pan back to the freezer and let rest on a flat, even surface. Chill uncovered for 10 minutes until the top layer has hardened slightly but not fully. Remove the pan and sprinkle the chopped walnuts and coconut on top. Lightly press down. Transfer the squares back into the freezer for another 15-20 minutes. To remove the brownies, lift the brownie slab out of the pan and place it onto a cutting board. Run a knife under hot water and press down slowly. Slice the brownies into 12 equal squares. Serve plain or topped with strawberries, coconut whipped cream and fresh mint leaves. Leftovers can be stored in an airtight container in the fridge for several days or in the freezer for up to one month. 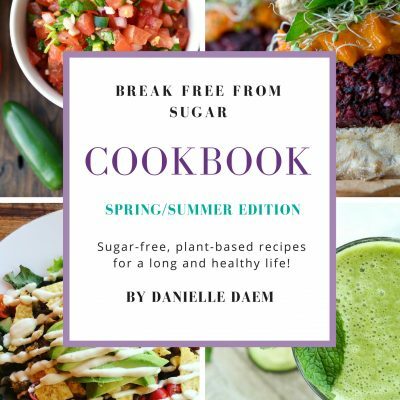 Member of the Sugar Freedom Collective ALSO get a 50% discount on the Break Free From Sugar E-Cookbooks and other great discounts!